This was an Acts 29 Carolinas Network Regional Event focused on training and networking for planters and pastors in the Carolinas. All are welcome to come. Tyler and his wife Kimberly moved to Raleigh in 1997 after graduating from the University of North Carolina at Chapel Hill. After working with InterVarsity Christian Fellowship at North Carolina State University for 5 years, they felt called to plant a church in downtown Raleigh. Vintage Church was planted in the fall of 2002 with a small group of people and currently has 3 campuses in the Triangle that meet every Sunday. He serves on the board for the Acts29 church-planting network, and founded Advance the Church, a cooperative nondenominational movement to help plant and revitalize local churches. Tyler and Kimberly have three little ones: Ellia, Lyla, and Lincoln. Jerome Gay Jr. and his wife Crystal live in Raleigh, NC with their two children, Jamari and Jordan. Jerome is the Lead Pastor of Vision Church and an urban missionary to the city of Raleigh. In his free time, he enjoys blogging on his personal site. Brian is the pastor at Exodus Church in Charlotte, NC and the Director of the Carolinas Region of Acts 29. Donnie is the founding pastor of One Harbor Church in Morehead City, NC. He is the primary preaching pastor and serves the church by providing leadership in vision, teaching, and pastoral care. Donnie is married to Jill, and is the proud father of Jedidiah Owen. Donnie’s passion, among other things, is to see churches in small towns and rural areas equipped and empowered to radically engage culture and make disciples. In addition, he grew up in and around salt water and continues to pray that God would give him gills. Jeremy Carr (M.Div, Th.M) is lead teaching pastor and co-founding elder of Redemption Church, an Acts 29 church in Augusta, GA. He is author of the book Sound Words: Listening to the Scriptures and has written for the Resurgence and GospelCenteredDiscipleship.com. Jeremy is husband to Melody and father to Emaline, Jude, Sadie, and Nora. He is on Twitter @pastorjcarr. Sammy Rhodes is the RUF campus minister at the University of South Carolina. He probably tweets too much. 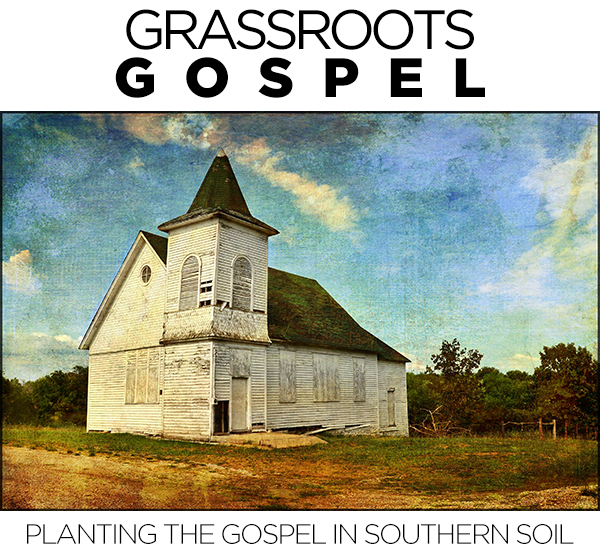 Donnie Griggs: Why to Plant Churches…in Small Towns?